entrustIT have been VMware Partners since 2007, and in that time our team of Technical Consultants have completed many virtualisation projects with clients both large and small. 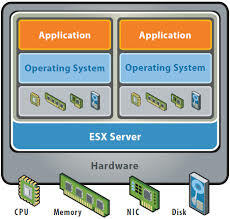 We offer VMware ESX consultancy, support contracts and we manage the virtualised estate for many of our clients. The same team of expert Consultants that perform consultancy and project work for clients also answer your call if you buy a Support Contract from us. Whatever your virtualisation need, we can help.